Personal Details: Harold was born in Jamestown in 1897 to Sydney and Louisa. He went to public school in Jamestown and then to St Peters College. He then became a bank clerk for a few months before enlisting. Harold Turner was related to both Frank Bartley and Charles Turner. He also had a brother, Richard George Turner, who died accidently while in the Royal Flying Corps on May 4th, 1917, and three sisters. He enlisted at the age of 18 years and 3 months. He was 5’8 ¼” tall, with fair complexion, brown hair and blue eyes and weighed 145 lbs. Military Details: He attended Junior Cadets at St Peters College in Adelaide and also served in the 81st Battalion Senior Cadets and 78th Infantry. 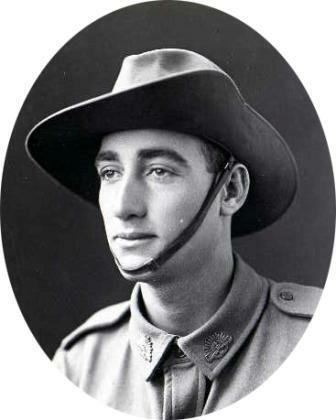 He enlisted in to the 1st AIF on 4th September, 1915 and was assigned to the 15th Reinforcement of the 10th Battalion. 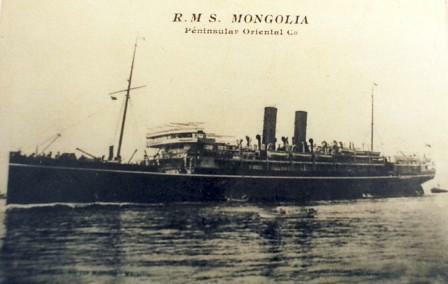 He left Adelaide aboard the “Mongolia” on the 9th March 1916. 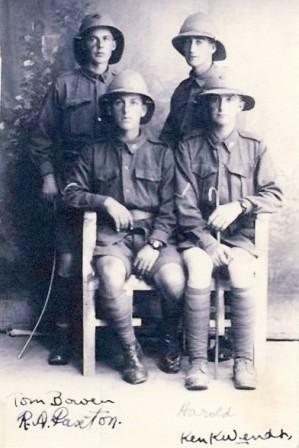 After arriving in Egypt he was transferred to the 50th Battalion. He left Alexandria on the 7th June and arrived in Marseilles on the 14th. From here he was sent to Machine Gun School at Camiers on the 7th August. 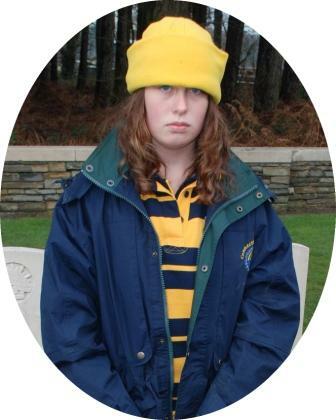 He left the school on the 26th August and was transferred to the 4th Division Machine Gun Company the following day. He was taken on strength by the 13th Machine Gun Company on the 31st. He remained with this unit throughout the Winter of 1916 – 17 until he was killed in action on the 2nd April 1917 during an attack by the 13th Brigade on the town of Noreuil as the Germans retreated to the Hindenburg Line in the Spring of 1917. Apparently he was the last man remaining at his gun when he was shot in the head by a sniper. young men returned to Australia. TURNER.-On the 2nd April, killed in action in France. Harold Morris, dearly beloved younger son of Sydney M. and L. Turner, Jamestown, aged 19 years and 10 months.